One of my favorite scenes in the movie “Field of Dreams” is when Ray Kinsella, played by Kevin Costner, is trying to convince Terence Mann, played by James Earl Jones, to go with him to a Boston Red Sox baseball game. When Terence Mann shuts the door in Ray’s face Ray Enters Terence’s apartment uninvited and tries to kidnap Terence at the point of his finger, inside his jacket pocket. 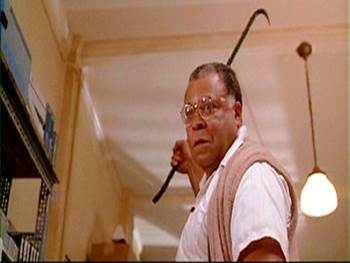 Terence responds by threatening Ray with a crowbar. Backing off and stumbling Ray tells Terence “you can’t do this, you’re a pacifist.” Being reminded at the last moment of who he is, Terence grudgingly puts down the crowbar and reluctantly listens to Ray. When it comes to the death penalty I am often in Terence’s shoes, crowbar or club in my hand or my hand on a switch. I strongly supported the death penalty for the first 18 years of my age of reason. I have now opposed it for 20 years. In fact this was one of the two changes I experienced in seminary, when I studied Christian ethics. In short, when asked to reconcile the death penalty to the life and teachings of Jesus, I couldn’t, as much as I wanted to and tried. 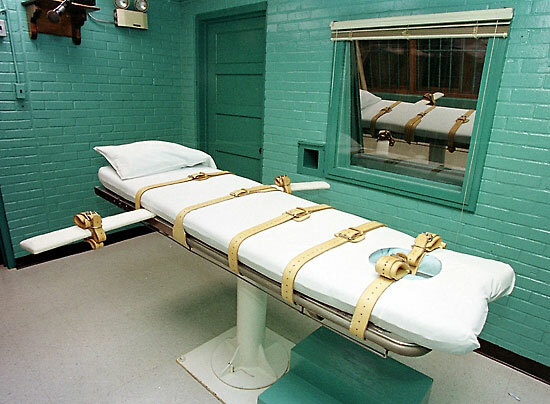 Avoiding the, in my mind, compelling evidence that the death penalty is not a deterrent to capital crimes, and looking at it through the teaching and life example of Jesus, I cannot find a single instance that indicates it to be anything other than incompatible with Christ’s teaching and actions. Yes the eye for and eye practice opened the door to capital punishment in Israel, though the purpose of the law was to limit the practice. As Jesus is the fulfillment of the law however, his practice and teaching indicate the desires of God, and his teaching and practice is contrary to this earlier practice. When asked which commandments one should follow, Jesus responded, love The Lord with all one’s heart, mind, might, and spirit, and then love your neighbor as yourself. One cannot love God with everything and then kill one of God’s children, even when that child is a brutal murderer. That person, as evil and fallen as they are, is beloved by God and is a neighbor to love as one loves oneself. When asked how often one should forgive, Jesus said 70 times 7. In the Sermon on the Mount, Jesus preached that those who offer mercy and make peace are blessed as are people who suffer for righteousness sake. Yes showing mercy and forgiving can yield pain and suffering in the short-term, but they ultimately yield blessing if Jesus’s teachings are to be believed. Jesus also preached that disciples are to love enemies and pray for those who persecute them. When betrayed and arrested, Jesus prevented his followers from using force and told them that when one lives by the sword / violence, one dies by the sword / violence. While some have said Jesus’s halting the execution of the woman who had committed adultery was in response to her not being properly tried, he did not say, let those cast the first stone after a proper trial, he said let one who has no sin, who is not in need of forgiveness, cast the first stone. When on the cross, Jesus modeled the way of the Kingdom and actions of disciples when he prayed for God to forgive those who crucified him. How can we, ourselves guilty of the capital crime of sin, ask Jesus for a release from what we deserve when we are unwilling to give the same to someone else, even if that person has commuted evil acts? How can a disciple see past the position of one killed by lethal injection? For me, the most compelling reason for a follower and disciple of Jesus to deny support of capital punishment is that I cannot endorse the practice that killed the one I claim to love. Given this sampling of teaching and actions of Jesus, and there is more, I do understand the desire to execute persons guilty of heinous acts. I would say that every fiber in me wants to swing a crowbar, push a button or throw a switch. But every time I have that feeling, I see a cross I am reminded, “I am a disciple of Jesus,” and I reluctantly drop the crowbar and lock away my desire to live by my worldly nature in favor of living by God’s Kingdom standards. In doing so I also trust God that Kingdom standards, Kingdom ways of living and being best cares for the victims of the crime and their families. Not exacting revenge, even when it is deserved, is a part of living in the peace of and from God that we do not understand. Such peace does not make sense because it is not of this world but is of the Kingdom that we receive through faith. All of this is beyond hard to understand, accept and certainly practice, but as a disciple of Christ, it is what I am called to do. This is not easy. Jesus said following him would be hard because it requires one to deny oneself, pick up and carry a cross. One of the things denied in carrying the cross is the worldly satisfaction of taking an eye for an eye.The reality is that in order to swing a crowbar or throw a stone I have to put down the cross that I am carrying out of my love for and devotion to my Lord. I can do one or the other, I can’t do both. This entry was posted in Faith Shots and tagged botched execution, capital punishment, carrying the cross, Christ's teachings, Filed of Dreams, forgiveness, jesus, lethal injection, Oklahoma capital punishment, Oklahoma execution, Sermon on the Mount. Bookmark the permalink. one of the very best responses I’ve read..
My friend, Kenny, lists even more of the reasons that Christians oppose the death penalty, and the times when Jesus’ teaching support that view.